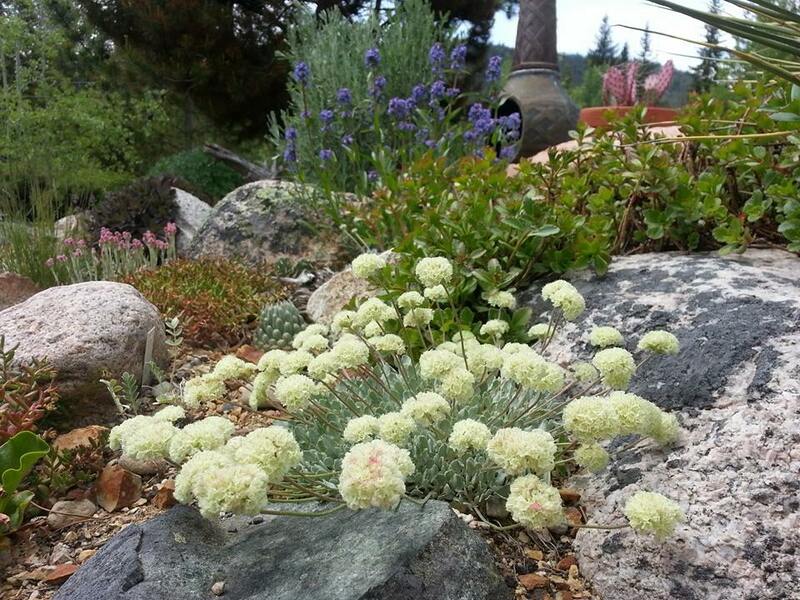 RockGardener.ca: What Will I Find, Where the Sun Don't Shine? The valley cut by Hayes Creek, where my mountain garden is located, runs almost due North/South, so virtually every surface and aspect in the valley is exposed to hours of sunlight. In the summer, temperatures can soar to the mid-30's celsius in the afternoon, although they almost always dip to the single digits at night. There is a nice mix of conifers in the valley, including (in order of frequency): Pinus contorta, Picea glauca x engelmannii, Pseudotsuga menziesii, Pinus ponderosa, Juniperus scopulorum and Abies lasiocarpa. That last one is special. Abies lasiocarpa (Subalpine Fir) dominates (surprise) subalpine habitats in Western North America, up to treeline. This tree requires a cold winter, and won't appear in locales where summer temperatures are too high for its liking. 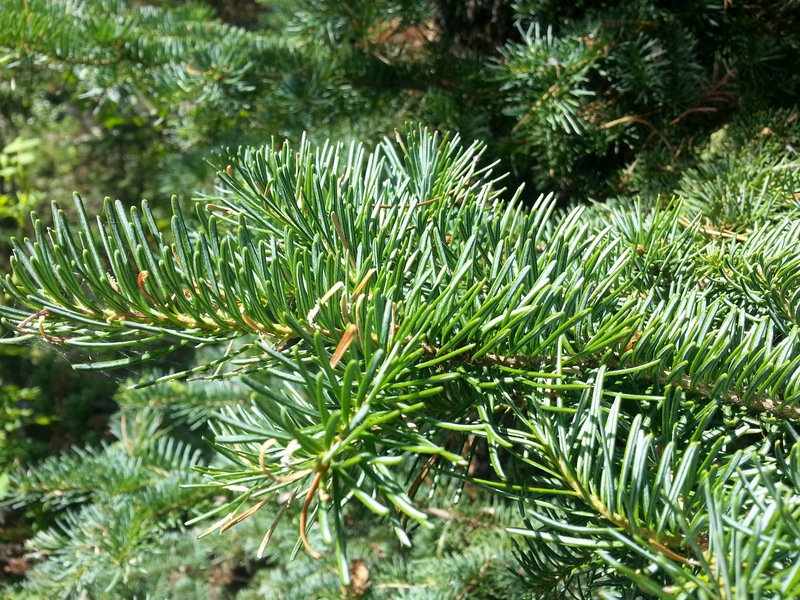 It also has higher moisture requirements than any of the other native conifers. So it is associated with a lot of interesting plants that have similar requirements. I would suspect that in my valley, which can be very hot and dry in the Summer, it is an indicator of conditions that would more likely support other members of its assocated subalpine community. About 2 kilometers North of me, at the same elevation, there is a bend in the road where the valley runs East/West for a few hundred metres. On the South side of the valley bottom, it is very shady and sheltered from the hot Summer sun. 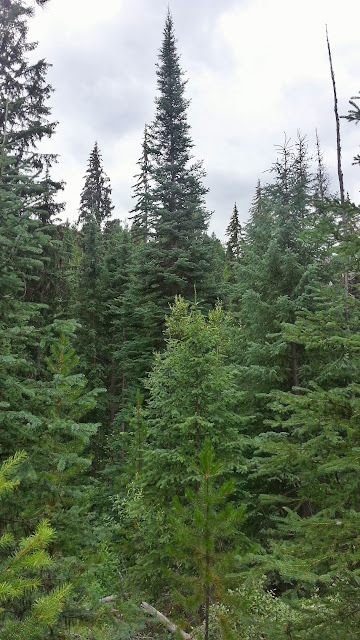 At that location, Abies lasiocarpa is one of the dominant species. The area where this tree is most dominant is private property. I need to secure permission to go and look at the spot more closely. Working on that. Further Eastward about 200 metres from that spot, it is a little more exposed and not as shaded because the hillside to the South is not as steep. Abies lasiocarpa is still quite common, but not as dominant as in that one magical, shady spot. It occurred to me I have never really explored this area. If I can gain access to the private property, what will I find there? Are there shady cliffs above the creek where I will find Saxifraga tolmei, like I did at that shady cliff-face 200 meters from the house? Or will I find the rumoured, but never seen Erythronium grandiflorum (my favourite, remember?) that was reported less than 2 kilometers from here by researchers working on the BC biogeoclimatic zone project? The bend in the valley where it briefly runs East/West. 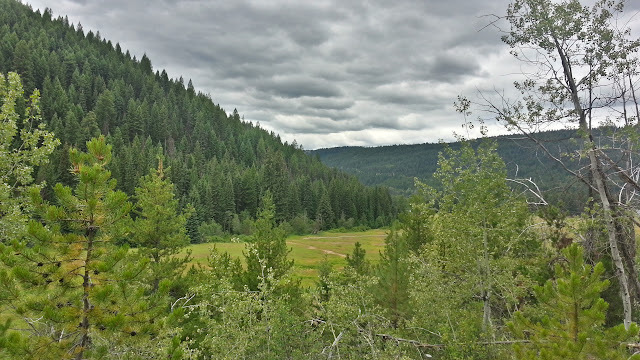 The forest of Abies lasiocarpa is at the foot of the hill, next to the pasture. This is the most dense concentration of these trees in the valley. Of course, further up the hill to the left, they become more and more common until they are almost exclusive with Picea engelmannii. 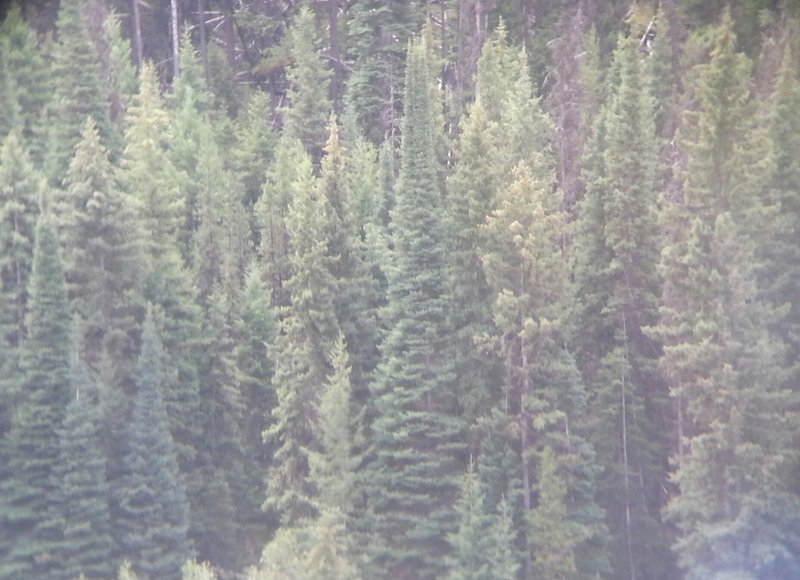 Through binoculars, one can clearly see the trees. They have a very distinctive, narrow and conical shape that is iconic to subalpine forests from the Rockies Westward. 200 meters further East, there is Crown property and I am able to access the A. lasiocarpa habitat. However, it is not as dominant here. Abies lasiocarpa 200 meters East of the pasture site. The classic, upturned and soft/round-tipped needles of Abies lasiocarpa. It has distinct cones too - upright and purple. 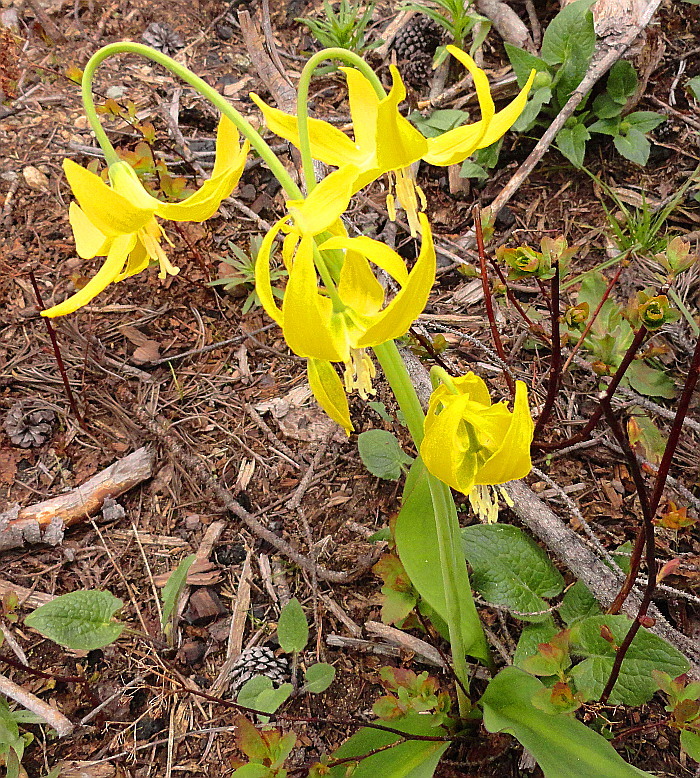 Will I find Erythronium grandiflorum, such as this one photographed by Mary Mastriel of Princeton, at the China Ridge Trails, just outside of Princeton? 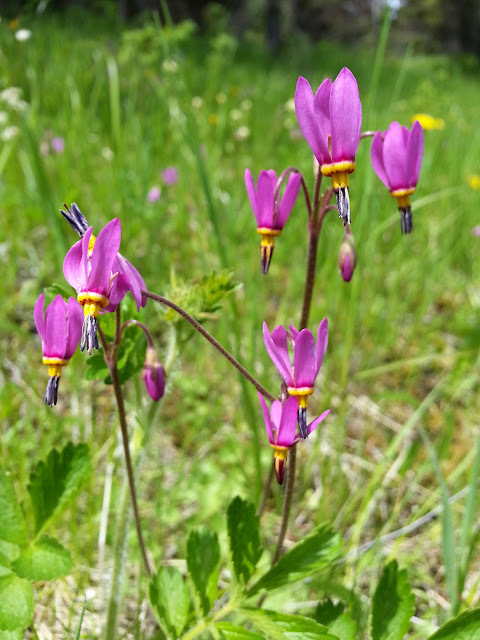 How about Dodecatheon pulchellum, like this one I photographed with Kenton Seth near the juncture of Highway 3 and Friday Creek?